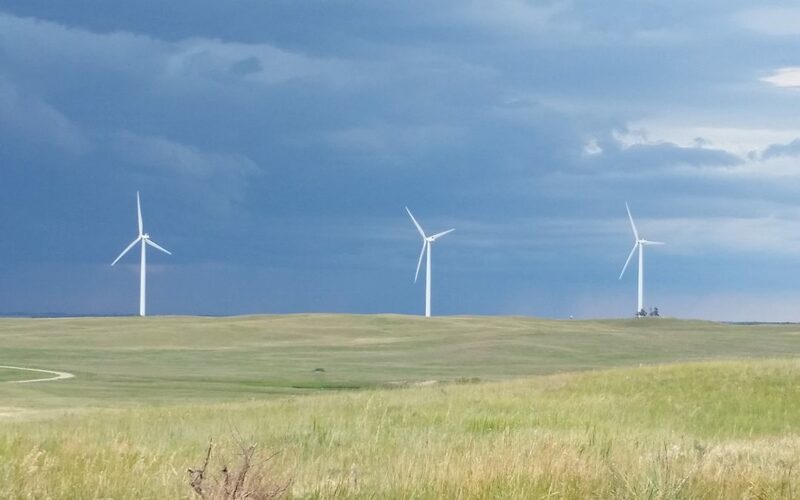 During a regular meeting on Tuesday in the Cherry County Courtroom, the Cherry County Planning Commission took no action on two amendments which would affect wind development in Cherry County. The Wayne Eatinger amendment, which was filed in early February of this year, was tabled once again. The William Weller amendment, which was also filed earlier this year, was also tabled. Weller’s amendment would change the word ‘commercial’ to ‘industrial’ in the zoning regulations The Planning Commission members agreed to appoint Michael McCleod and John Wheeler to consult with county attorney Eric Scott before a vote is taken. Chairman of the planning commission Herb Pabst stated during the proceeding that private property rights really don’t mean anything; the government will take what they want. Mr. Pabst also stated that “the element property rights are off the table” in this discussion. A letter from Orval Stahr, a consultant hired by the county at the request of the planning commission, submitted two letters concerning the amendments. At the request of the board, Carolyn Semin read the letter concerning the Eatinger amendment out loud to the audience. It stated that Mr. Stahr recommended that the planning commission make their recommendation to the commissioners and let them decide the issue from there. The recommendation should be based on the greater county resident’s opinion. It was acknowledged that any changes to the zoning regulations would not apply to a current conditional use permit submitted to the county. In regards to the Weller amendment, Mr. Stahr stated 3 reasons for his recommendation not to approve the amendment. One of those reasons was that wind farms do not meet the definition of industrial as stated in the current zoning regulations. Numerous people got up to testify in favor of the amendment during the approximately one hour hearing. The next meeting will be January 15th.